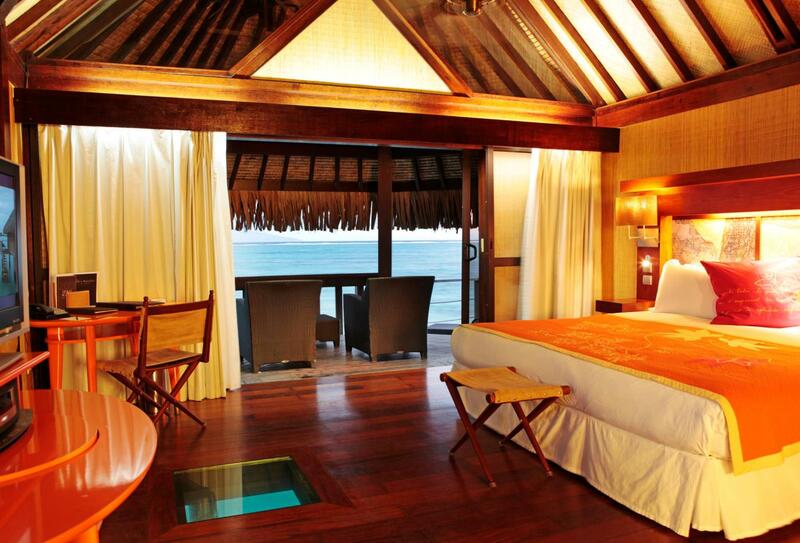 Sofitel Moorea Ia Ora Beach Resort sounds romantic. And it doesn’t disappoint. 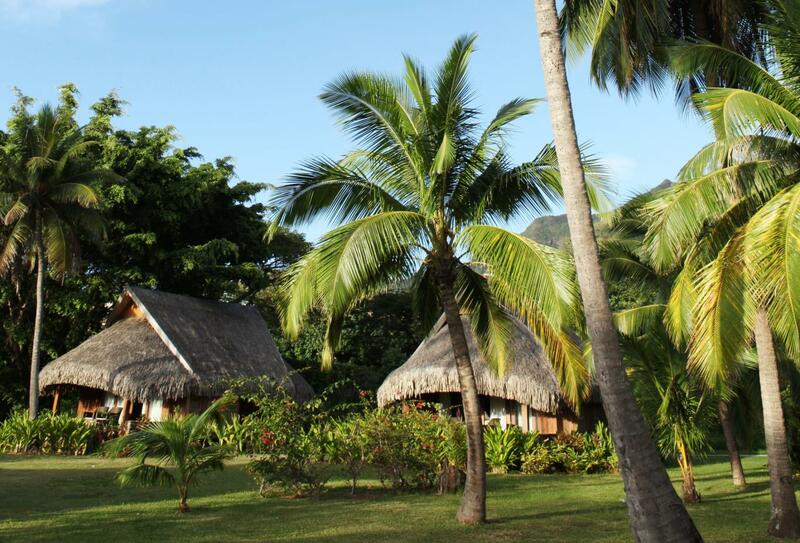 This superb property on the sultry island of Moorea boasts views over neighbouring Tahiti from its collection of authentic Polynesian bungalows, some of which are located on stilts over the lagoon. 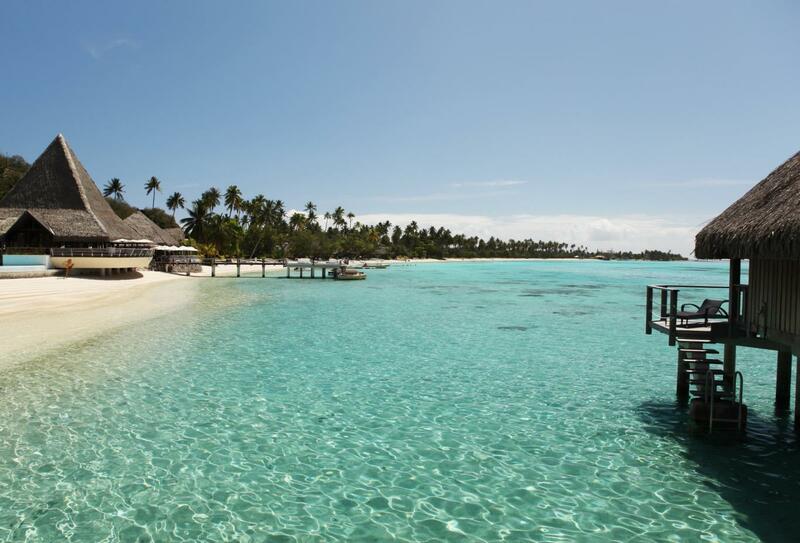 The beach here is sensational, the lagoon teems with marine life, and you can do as little or as much as you choose, depending on your mood. A thoroughly delightful place to stay and highly recommended. 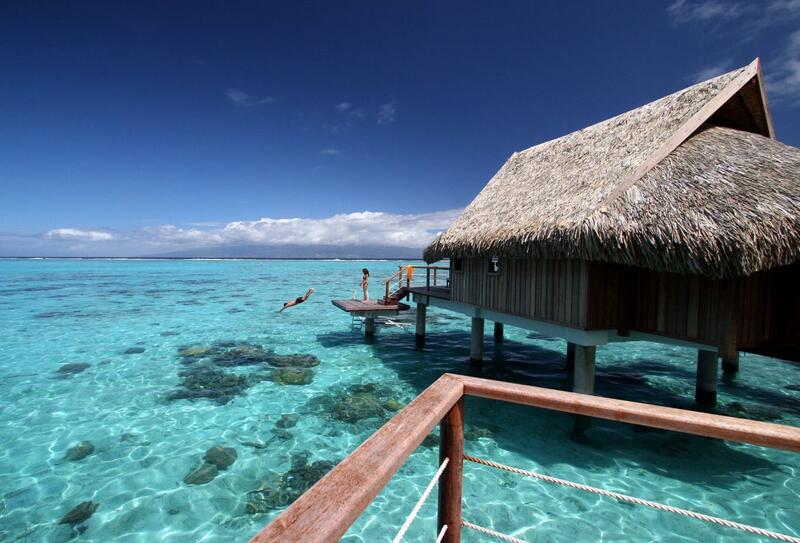 Located in front of the main hotel beach with stunning views over the waters of Moorea and Tahiti. 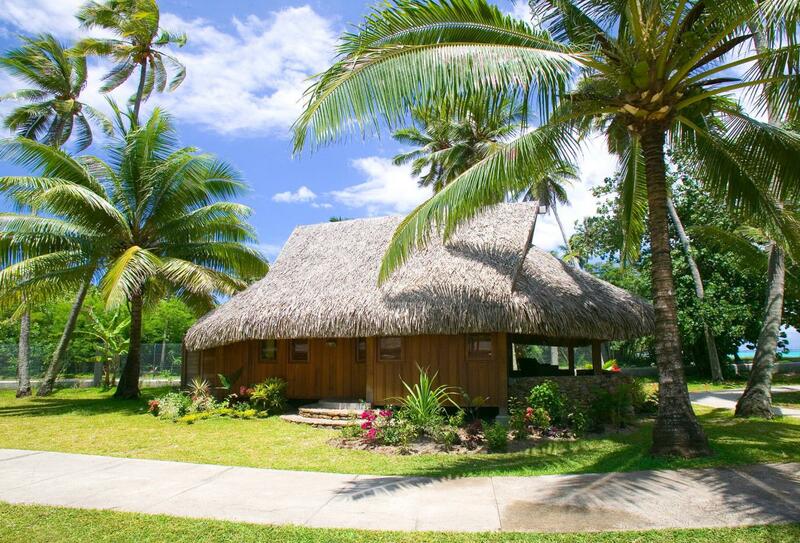 Luxury bungalows, nestled within the resorts tropical gardens, enhanced by a unique blend of French sophistication and contemporary Polynesian design accents. There are bright colours and precious woods throughout and expansive windows offering dramatic views of the garden from your private terrace. Reserved for couples and located on the farthest pontoon from public areas giving you more tranquillity. 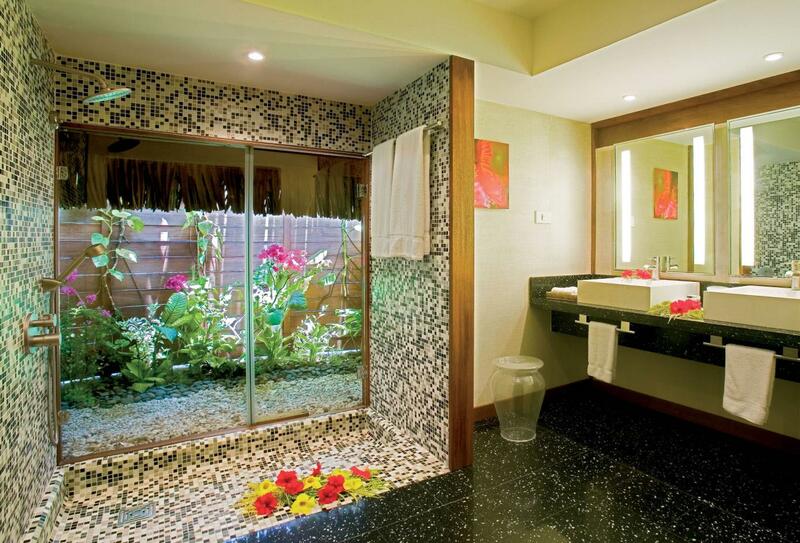 Sports a large and upscale interior design and an outdoor patio with the bathroom. 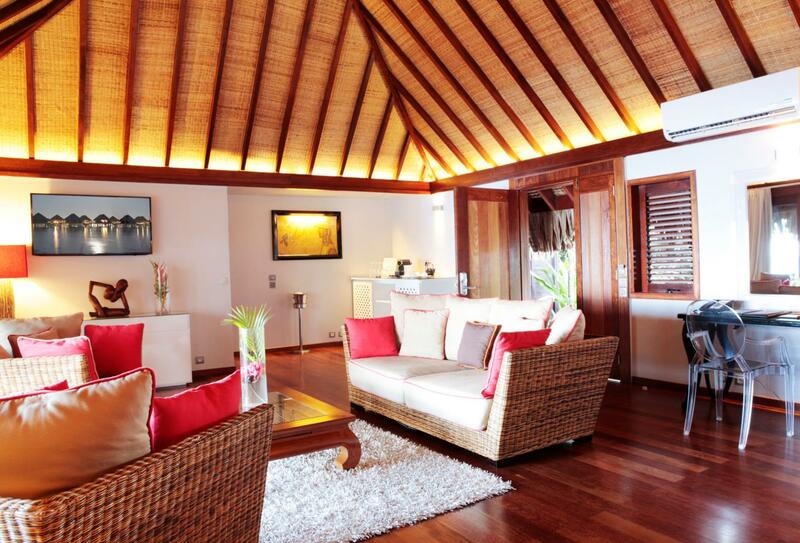 For the perfect escape, book the Horizon option for uninterrupted views over the lagoon from the bungalows located at the end of the pontoon, which also come with added extras such as private check-in, bottle of champagne on arrival, unlimited tea and Nespresso coffee and more. 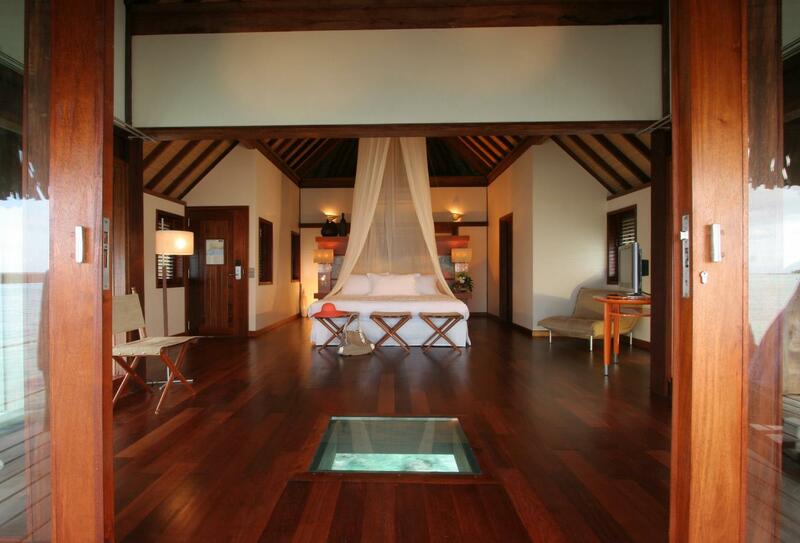 This very private bungalow sits right on the edge of the beach, just a few metres from the lagoon and offers special access to the water. 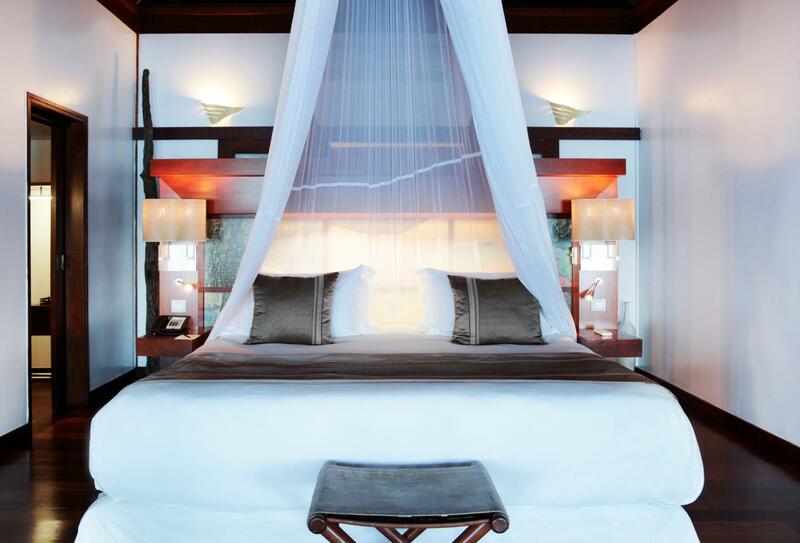 The bedroom interiors are a lovely blend of French elegance and Polynesian culture influenced by the French painter Paul Gauguin. 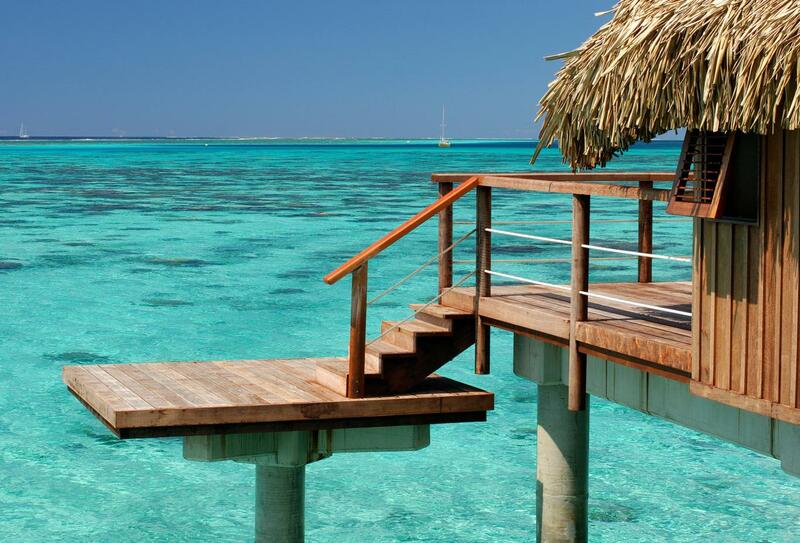 Located on the close to public areas of the resort, these bungalows sit on stilts above the clear lagoon waters and have a private sundeck with your own ladder, offering direct access to the water below. For the perfect escape, book the Horizon option for uninterrupted views over the lagoon from the bungalows located at the end of the pontoon, which also come with added extras such as private check-in, bottle of champagne on arrival, unlimited tea and Nespresso coffee and more. 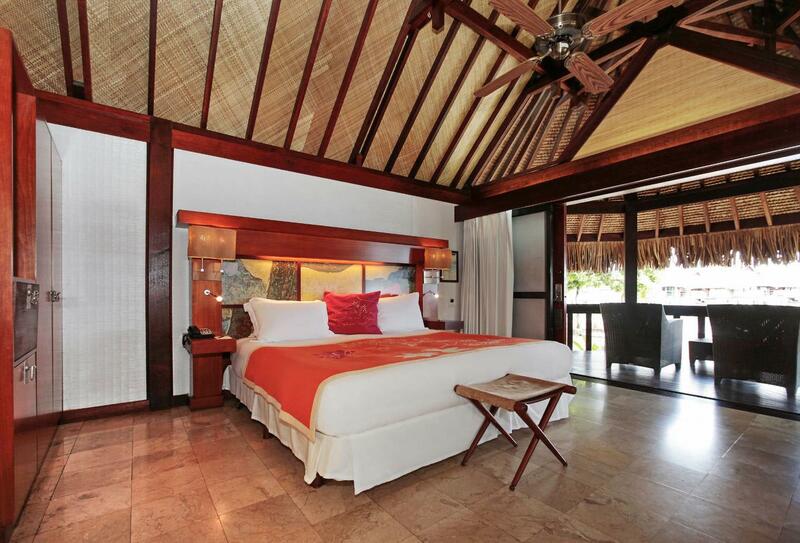 The unique and magnificent Villa is a one of a kind experience that envelopes you in style and luxury. This villa honours the French painter François Ravello. 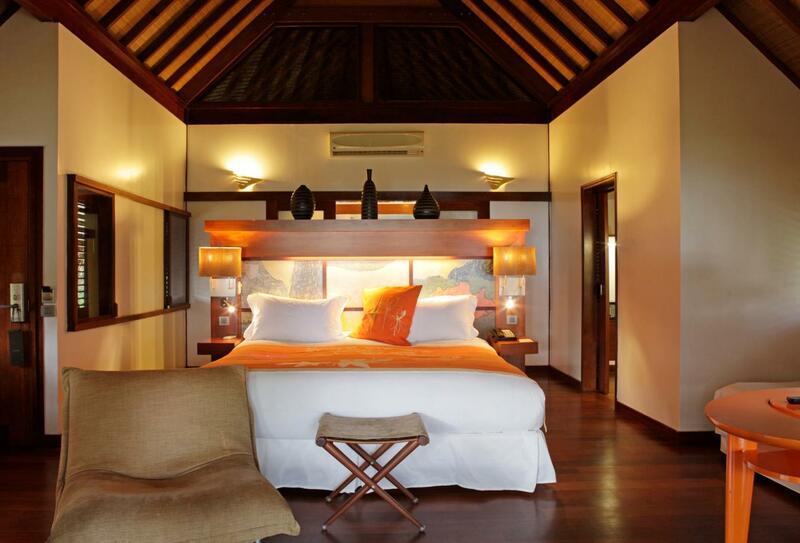 It has two separate, bedrooms and a spacious living room, an outdoor deck equipped with a jacuzzi and a direct access to the lagoon. • Daily buffet breakfast served in Pure Restaurant. Set in a contemporary decor and on the edge of the protected lagoon, Pure lets you enjoy breakfast or dinner in a relaxed ambiance. 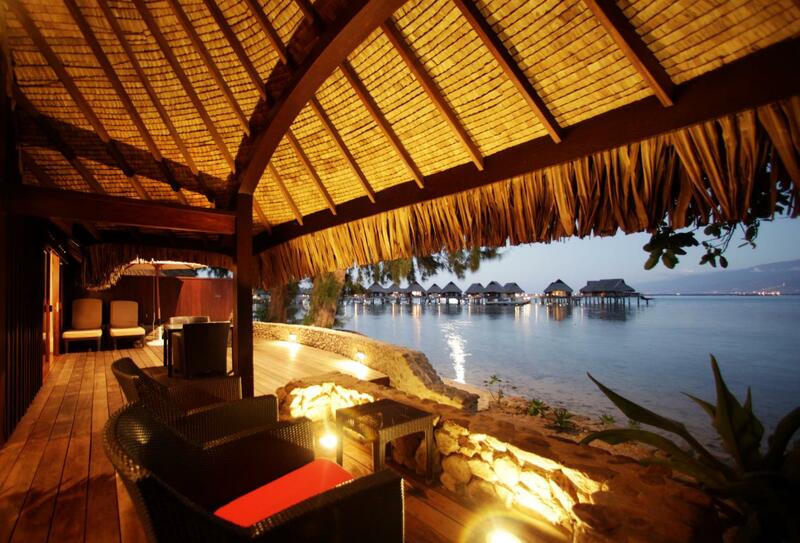 From the terrace, admire the spectacular silhouette of Tahiti or enjoy some authentic Polynesian entertainement. Fine dining in a casual setting. 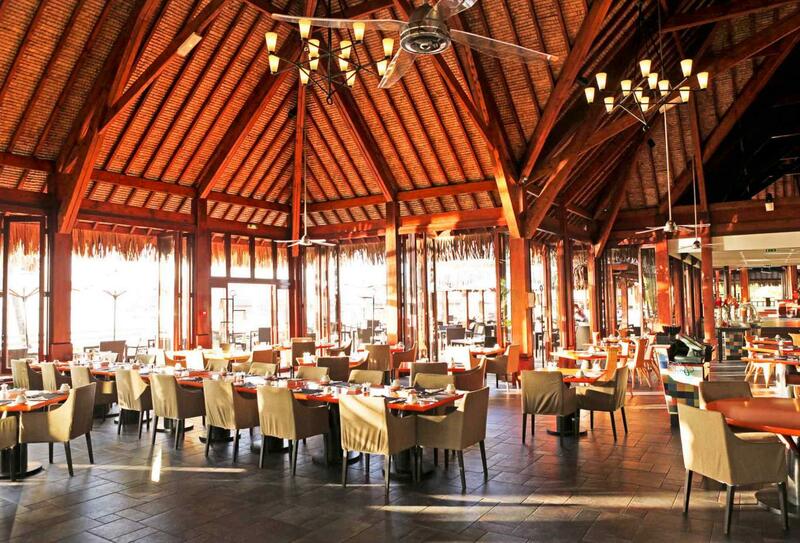 Enjoying amazing cuisine from a renowned chef under a cathedral high ceiling made from locally sourced wood, while your feet are in the soft white sand. The main resort bar faces the lagoon and pool and serves exotic Pacific cocktails, snacks, ice creams and a wide range of other beverages. Enjoy a tropical cocktail or snack on the resort's white sand beach. 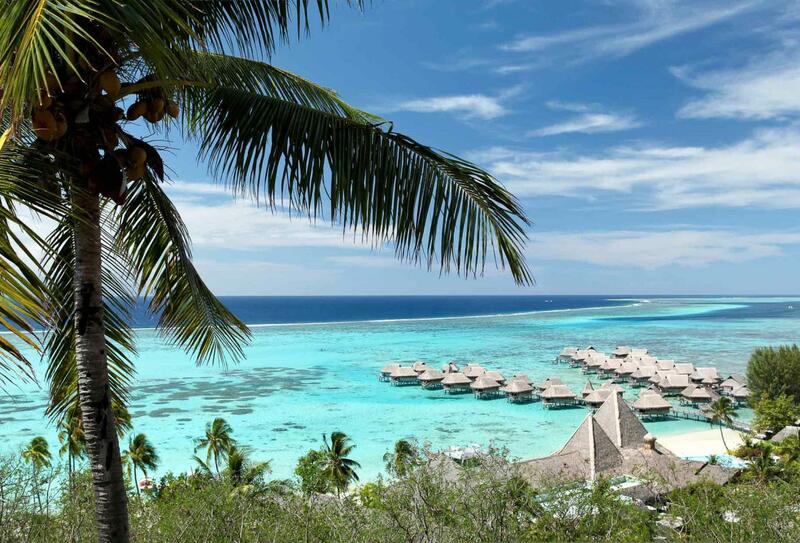 Sofitel Moorea Ia Ora Beach Resort is on the edge of a white sand beach and crystal lagoon on the island of Moorea overlooking Tahiti, 5 minutes by car from Moorea Airport.